It might surprise you that I am famous in a town that I’ve only been to a few times. Well, Karl Bastian is famous anyway! In fact, if I go around town and mention my name, people stop in their tracks and say, “Really? Are you really?!? Nice to meet you!” and shake my hand! When we had a few hours of free time, I told Ryan I wanted to go for a drive, but I didn’t tell him where or why. And I shold mention, I often teased him about being from Indiana, little did he know my roots go back to just a town or two over from his home town. 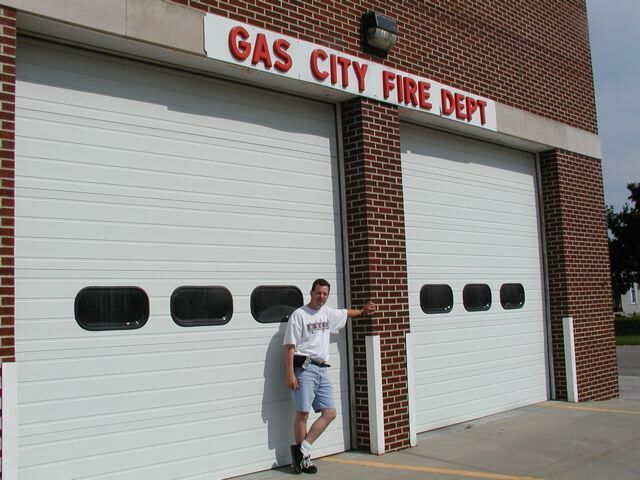 So we headed over to Gas City and the Fire Station, which was locked up because in such a small town, it is a volunteer department. So we headed over to City Hall. I walked in and introduced myself to the receptionist, “Hi, I’m Karl Bastian.” She about dropped her pencil and said, “Really?” I said, “Yup, and if possible, I’d like to get into the Fire Station.” She said, “Certainly! Go over to the Public Works building, just behind here, and they should be able to help you out.” Ryan seemed a little surprised by the welcome I got, but I still didn’t explain anything to him. We drove over there and by now Ryan was bugging me to tell him why everyone in Gas City seemed to know who I was when as far as he knew, I was from waaaay out of town. But it wasn’t time yet to tell him. We waited outside the station for no more than ten minutes when a red pick up truck arrived and a man got out and walked up to me and said, “Are you really Karl Bastian?” After I said yes, he heartly shook my hand and said, “It’s an honor to meet you.” The look on Ryan’s face was priceless, but he would soon learn the secret of my fame in Gas City, Indiana. The family legend (and I call it that to acknowledge that all I have is the family story passed down to me, unconfirmed by outside sources, which are welcome if anyone reading this in Gas City knows more about his story) is that this Karl Bastian died as a hero when he went on an emergency call even though he was retired from being the Fire Chief, and was attempting to save a mother and child from a fire, when he was overcome by smoke and died. He died on May 6th, 1960. He is listed as an American hero on supportingheroes.org even though there is very little info recorded there. On the wall next to the picture is a newspaper article about him that I hope to get a copy of someday. Oh, and I should probably mention he was my Great Grandfather, and I got his name when I was born on his birthday, September 19th, nine years after his death. So if I am ever in a position where I really need a job, I think I’ll head to Gas City and run for mayor, I’ll probably have a good chance at winning! 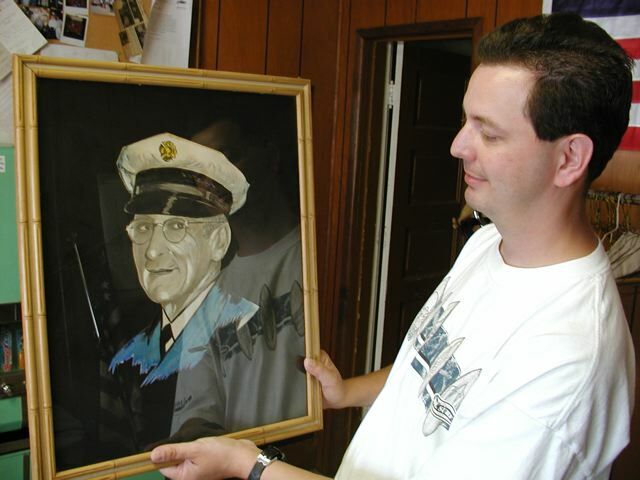 And while the painting is hanging where it belongs, in the Gas City Fire Station, I do hope that someday it can come into my family or at least I hope I can get a copy of it. 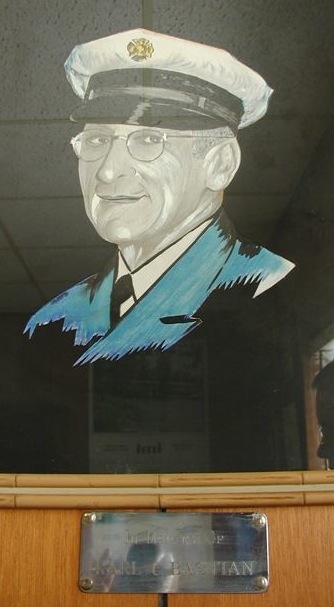 This painting is the only picture I have of the Karl Bastian from whom I got my name. I never got to meet him, but I’m proud to share his name. That’s really cool. Believe it or not, your little brother Jordan Bastian had never heard the story of his Great Grandfather’s heroics in Gas City! I knew you were named after him, but I didn’t know you were born on his birthday or anything else about him. Thanks for the story. I think I can see a family resemblance, don’t you think? nice story Karl! And I can see why Ryan was stumped!! Jordan I can totally see a family resemblance. I was thinking that as I was reading the story. Thanks for sharing the story. I went to Taylor U. in Upland, right around the corner from Gas City. I remember getting gas there for .69 cents a gallon back in ’99. I also remember the “City of Gas City City Hall” sign on City Hall. They recently changed it, I believe, to “City Hall.” They have a nice little park with a mini-zoo. Oh the memories. If you look carefully you can see Ryan in one of the pictures… taking the picture for me! 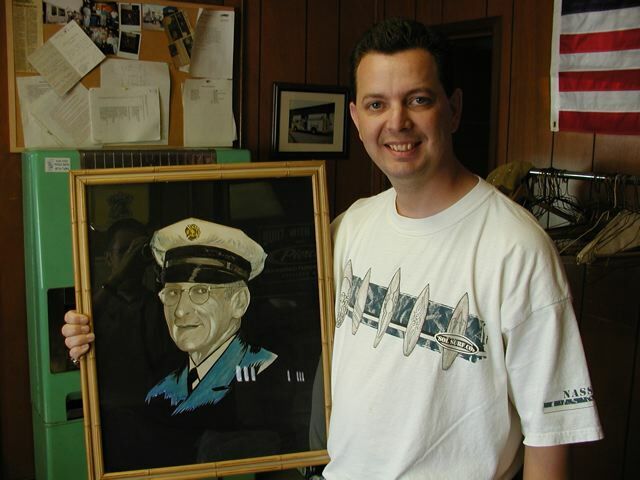 Dear Karl–What a WONDERFUL surprise, getting your story of Karl C. Bastian. Wish you could get it published. Too bad Grandpa is not here to see it. It brought laughter, and tears to my eyes and a lump in my throat. The “C” stands for Clement. It must have been a family name long, long ago. Perhaps you would have liked being named that, but I love what you were named, after my beloved Firstborn. You ought to have it published, but the only place I can think of is, as usual, Reader’s digest. Of course, there are other mags. It is beautifully written. I’m sure those people couldn’t believe their ears! Of course, it was eerie also. Well–I can’t compliment enough. I don’t know what else to add to it, at this time. Great-Grandpa’s passing was a big shock and unbelievable at the time. You can imagine how hard it hit GRANDPA at the time. G-Granddad was one of those persons who always had to be where the action is. Thank You So Much for going to all that trouble for me. That’s real love! Boy the memories flooded my mind when I read this blog post! It seems like just yesterday when you said we were taking a trip to Gas City and you refused to tell me why. I’ll never forget the look on those faces when you announced that you were Karl Bastian. You are blessed to have such a great family heritage. See you soon in Nashville. Tell Sara hi for Beth and I.
Dear Karl: I’ve heard you tell the story before, but this is the first time I have had a chance to see it in writing and to see the picture of your great-grandfather. All I can say it that it compares favorably to my story of being a sixth cousin of Abe Lincoln. My mother was Ruth M. Hanks and Lincoln’s mother was Nancy Hanks. The rest is that it is hard to be famous when your relative was already so famous. David Hanks Yount (as per my Philippine drivers license. my mother where Francisca Elizabeth Bastian. 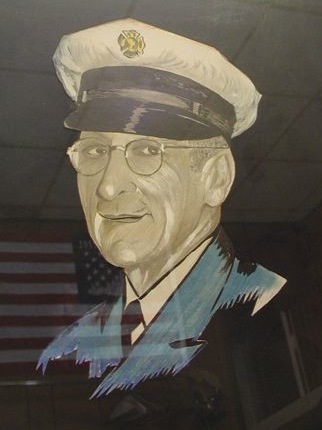 I have the original painting of Grandpa Bastian and his badge. I guess it should go to you since you are his name sake. Barbara sent me to this website and story. I am Russell Bastian’s daughter, Karl and Stella’s youngest sone. The First Kidology FLASH CLASS – Fortnight! KidCheck is a Leader in Child Safety – See Why! FALL Checklist Time for Your Kidmin! What Will You Leave Behind? Making Your Communication Personal and FUN with Bitmoji! Kids Ministry Over the Top! Yosemite Drawings from 34 Years Ago Discovered! Welcome to Kidologist.com, the personal site of Karl Bastian. Sometimes fun, sometimes serious, always what's on my mind. Are Storm/Clone Troopers Good or Evil? I finally solved it, but can you? 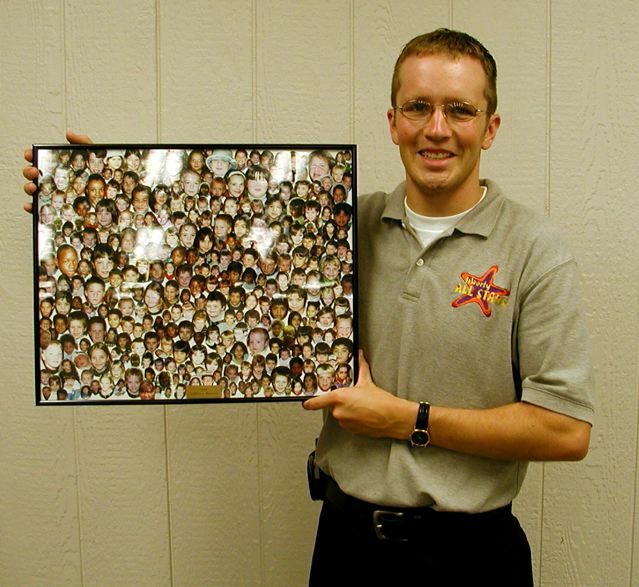 Karl Bastian is the founder of Kidology.org and host of KidminTalk.com. He is a children's pastor, speaker, entertainer and an equipper & encourager of those who minister to children.